Born in São Paulo, Brazil, Evandro Figueira was educated in his home country and the US. His mother tongue is Portuguese and he is fluent in English and Spanish. With a degree in Radio and TV from FAAP and an MBA in Business Management from ESPM, Figueira started as a Producer at HBO Brasil in 1997, then moved to Columbia Tri Star as Producer, Writer, Editor. 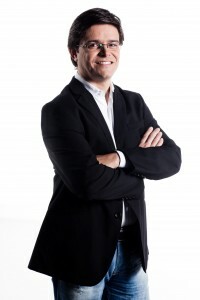 In 2002 he made the move to Radio & TV Bandeirantes and sports broadcasting where as International Event Planner & Executive Producer he was responsible for the IndyCar Series project and for contacts with IMSP. In 2005 Figueira was appointed Head of Events & Acquisitions at Bandsports, tasked with researching new content, negotiating with rights holders, and organising all aspects of international events coverage, including the 2006 and 2010 FIFA World Cup and the 2012 London Olympics. In 2012 his remit widened to include budget planning and control for the whole channel as he became Production, Operations & Acquisitions Director at Bandsports – the position he currently holds. During his 16 years in the TV business he has travelled widely to cover sporting events in all parts of the world.